Is everything fouled up? Are you in need of some stress relief? Captain Jack Hoff put in long, hard hours of manual labor to work up a special formula that will get you back on an even keel. When life has you over a barrel, grab Captain Jack’s Seamen Putty, and tug away until you’re smiling again. If the daily grind has taken the wind out of your sails, and you need to relieve some dangerously pent-up tension, take matters into your own hands before you go off like a loose cannon. It’ll be smooth sailing after you spend some time yanking on this handy therapy putty. 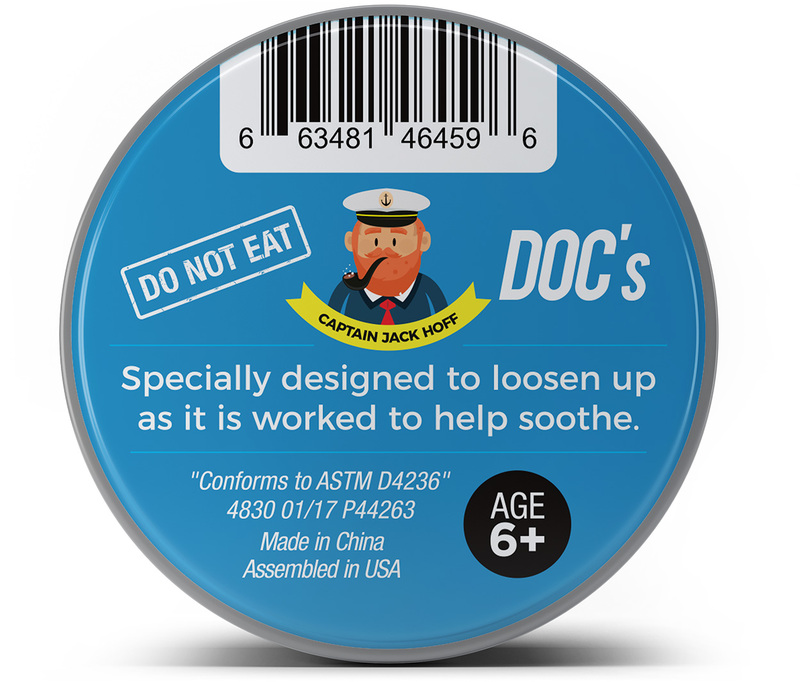 Captain Jack Hoff’s Seamen Putty comes in a hilariously naughty nautical tin that will have even the stiffest landlubber bursting with laughter. It’s compact enough to fit in a drawer, bag, or tacklebox, so it’s handy when the mood to relieve stress strikes. When rough seas have tension rising, handling a thick, white glob of Seamen Putty will get you back on course. The longer you play with it, the more relaxed you’ll feel. Surprise friends and family with white Seamen Stress Putty that can help them yank away daily stress however it comes. It’s a gut-busting addition to care packages, gift baskets, birthday presents, Christmas stocking stuffers, or gift exchanges.